The Russian military intelligence service has managed to deliver the pilot's body from Idlib with the help of their Turkish colleagues. He was posthumously awarded the title of the Hero of Russia. 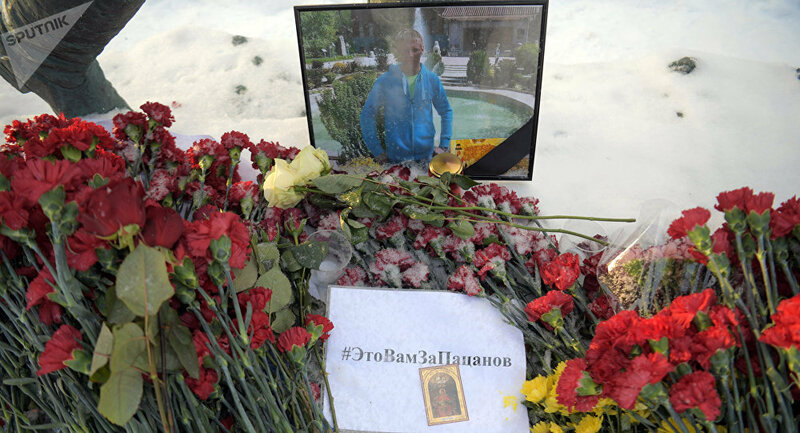 "Russian military intelligence, in cooperation with Turkish colleagues, have returned the body of attack pilot major Roman Filipov to Russia, who died as a hero on February 3 in Syria. The funeral ceremony for Major Roman Filipov with the observance of military honors at the request of the family and parents of the Russian pilot will be held on February 8 in Voronezh," the Ministry of Defense stated. A Russian Su-25 attack aircraft was downed by a MANPAD portable surface-to-air missile in the Syrian province of Idlib, within an area controlled by Jabhat Fatah al-Sham (formerly Jabhat al-Nusra), while it was flying overhead. Filipov managed to bail out from the falling plane, but died in a fight with terrorists, blowing himself up in order to avoid captivity. Filipov was posthumously awarded the title of the Hero of Russia. The Tahrir al-Sham terrorist group, linked to former terrorist al-Qaeda branch in Syria that includes the Jabhat al-Nusra militants, claimed responsibility for the attack. Responding to the attack, the Russian air forces launched a high-precision strike in the area from where the MANPAD had been launched, killing more than 30 militants. On February 6, the Russian Defense Ministry requested Turkey's assistance in obtaining debris of the Su-25 jet.